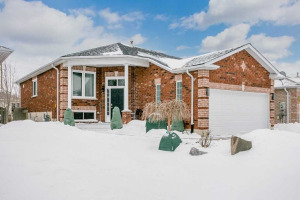 Immaculately Maintained All Brick Bungalow On A Quiet, Tree-Lined Street In Lovely North Barrie. Only Minutes From East Bayfield Community Center, Barrie North Crossing Plaza & Georgian Mall, Rvh And Country Club. 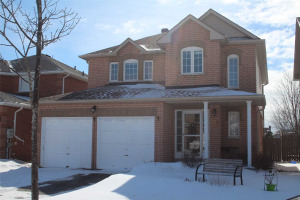 Private, Landscaped And Fully Fenced Back Yard With Deck. Warm And Welcoming Interior Offers Over 1,900 Sf.Ft. Of Finished Living Space. Easy-Care Hardwood Floors Throughout Most Of The Main Level, Bright Eat-In Kitchen With Walkout To Yard.